Bushwick’s well-established support system for artists also helps her a lot, she said. 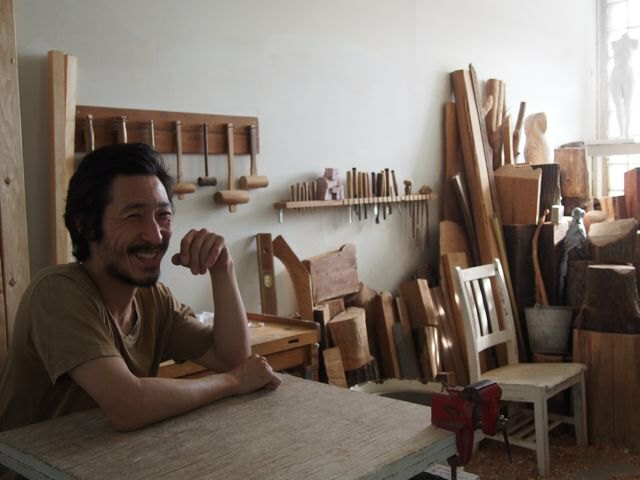 Chizuco found a mentor and learned how to apply for competitions and get more chances to exhibit. She is now a mentor to younger artists. 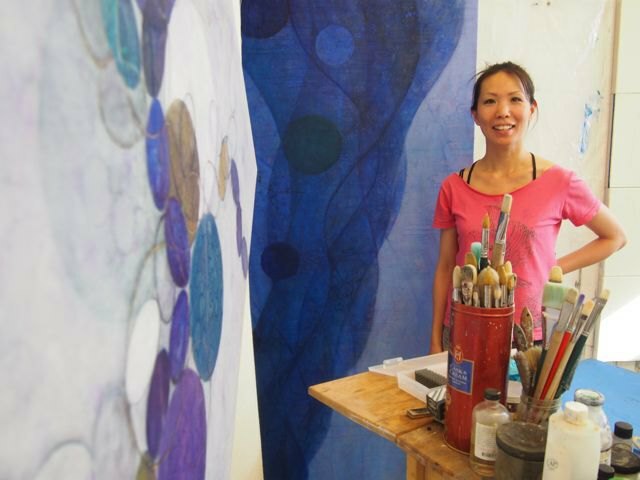 Sonomi Kobayashi, another abstract painter, also said the environment for artists is better in Bushwick than in Japan. She said she feels totally comfortable here. In Japan, an artist’s academic record seems to be considered more important, but here people look at the art itself. Her background in Japan is far from art: after graduating from college, she worked as a nutritionist. 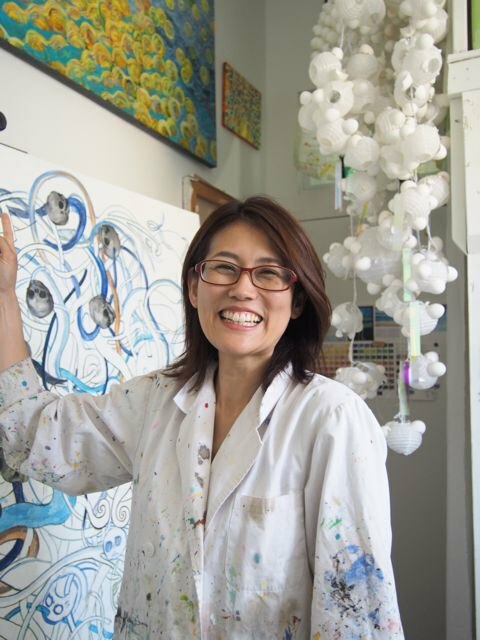 She did not intend to become an artist but went to art school in New York to get a visa and to be able to stay in the U.S. Gradually, showing her work made her recognize that she is an artist. “When my work was sold, I really realized that I can call myself an artist, “ she said. She moved to Bushwick from Williamsburg in 2010, and one of her paintings even became the Brooklyn Oenology winery’s label in 2013. When she came to New York, she was asked for directions on the street a lot. “In this country, I don’t need to consider where I am from.” she said. "Here it does not matter where you are from or who you are. She feels borderless." She also told us that her objectives in life has changed from living a normal life to finding adventure in New York City. Oh, that mythical feeling of aliveness. None of us are immune to it! “If you want— the atmosphere here,” says Daisuke Kiyomiya, a sculptor. “It is very comfortable for me.” The phrase ”if you want” includes “being yourself,” and nobody cares what others do, he said.